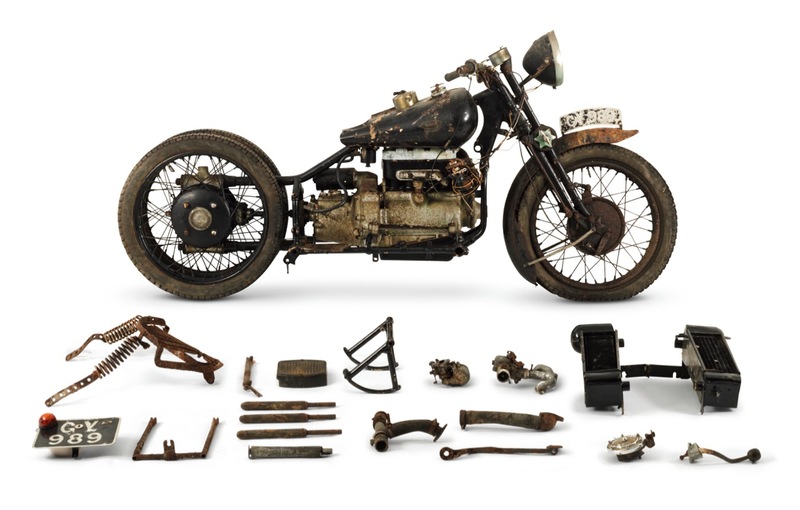 Bonhams claims a world auction-record price for a British-built motorcycle with a 1938 Brough Superior 750cc BS4 selling for £331,900 ($481,520) at its Stafford Sale earlier this week. 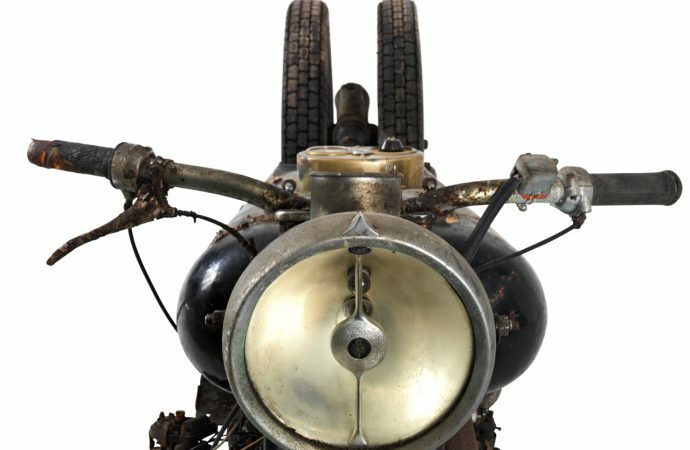 Bonhams claims a world auction-record price for a British-built motorcycle with a 1938 Brough Superior 750cc BS4 selling for £331,900 ($481,520) at its Stafford Sale earlier this week. The sale was held in conjunction with the annual Stafford International Motorcycle show in England. 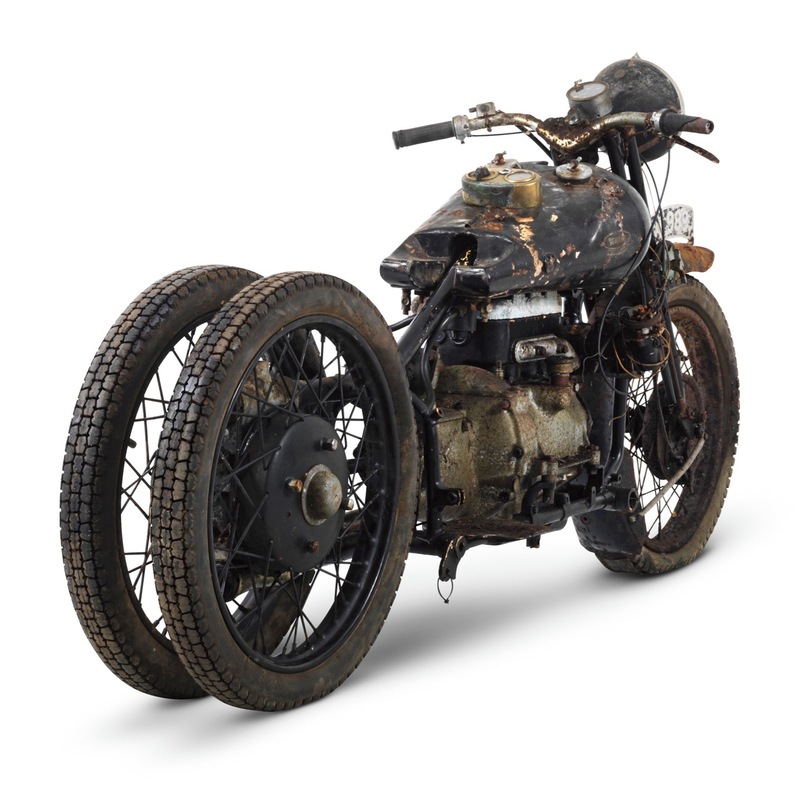 Only 10 BS4 (Brough Superior four-cylinder) bikes were built, and three of them no longer survive. The bikes feature an engine and gearbox from an Austin 7 car. 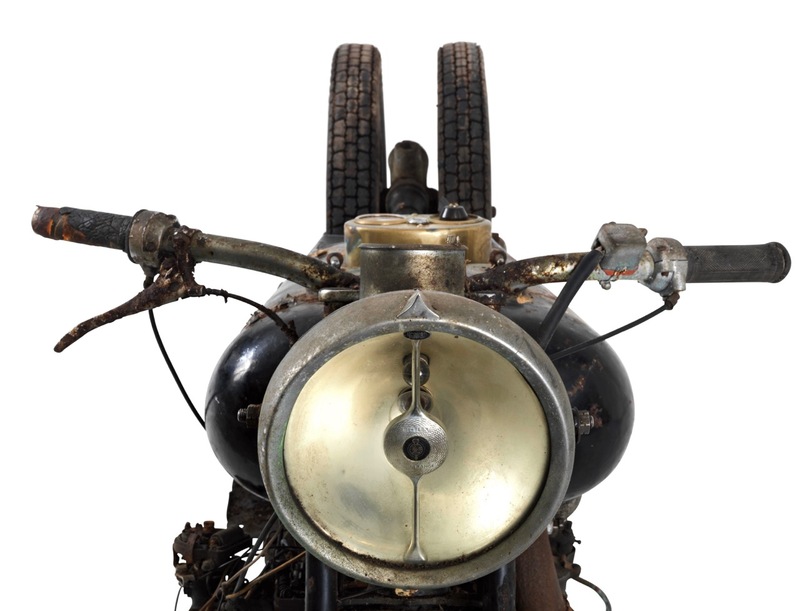 The bike was the highlight lot of “The Broughs of Bodmin Moor” collection, a group of eight two-wheelers discovered last year in a remote Cornish village as part of the estate of the late Frank Vague. The bikes were discovered whole or in parts beneath “dust, old machinery parts and household clutter,” Bonhams said in a news release, which noted that bikes were then shown in public for the first time in more than 50 years. Overall, the auction sold 230 motorcycles for £3,454,501 ($5.05 million). “Having been housed in a Cornwall barn for so many decades, we’re delighted to have brought these machines back into the spotlight,” added Jonathan Vickers, Bonhams West Country motoring specialist. “The Bonhams team have held an auction at the Stafford International Motorcycle show for more than 28 years,” noted Malcolm Barber, Bonhams co-chairman and auctioneer for the event. “The sale is an institution, and one that rightly attracts the attention of motorcycle enthusiasts from across the globe.